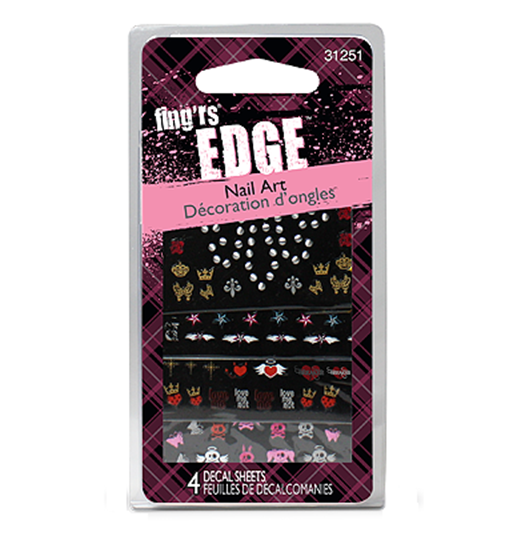 FING’RS EDGE NAIL ART – 4 Decal Sheets. Perfect for tweens and young girls that love looking glam while staying hip and rocking out! Gently peel decal from backing and press on desired nail. Apply topcoat to seal. $4.59 – inbox me to purchase.